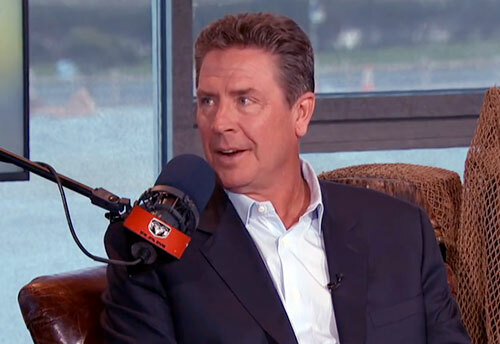 Dan Marino is a retired quarterback who played for the Miami Dolphins who is one of the most prolific passing quarterbacks in NFL history. Marino holds 25 NFL regular season records and is tied for five others after a 17-year career with the Miami Dolphins. He was a first-round draft pick by the Dolphins in 1983 and became an instant star who became the only rookie quarterback to ever start the Pro Bowl (1983) and to be named the NFL’s Most Valuable Player in his second season (1984). Marino played in 18 post-season playoff games and led the Dolphins to the Super Bowl in 1985 against San Francisco. Marino won the Dolphins MVP Award 12 times and the team has since named the award after him. Among the NFL records Marino holds are most passing yards (61,361), most completions (4,967) and most passing touchdowns (420).